The UK is the place to be if you’re a FinTech, with a record £12bn invested in the first half of 2018. With more than a fifth of capital raised globally finding its way to UK shores, SBC Colab plays an essential role in supporting and enabling the growth of start-ups. 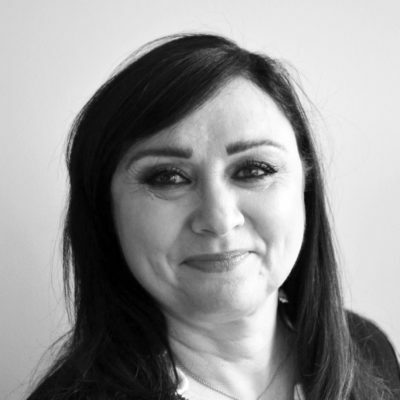 Delegates at this year’s MoneyLIVE: Digital Banking will hear from the MD of SBC Colab, Helene Panzarino as she chairs our FinTech Central Stage. In this interview with MoneyLIVE’s Winnie Cheung, Helene shares insider knowledge into the inner workings of the FinTech scale-up industry and will discuss the impact of socio-political changes and regulation. W.C. What assistance do scale-ups that go through SBC Colab innovation program typically need? H.P. Scale-ups that go through the Colab program typically need help with identifying and navigating the people and process of selling and procurement with large corporates. This involves getting in front of the right people who have the business challenge that needs to be solved. The most common problem start-ups and scaleups experience when selling to corporates is the long sales cycle and seemingly wasted time, and the large amount of capital behind them to sustain these long cycles. We bring the scaleups together with potential stakeholders in the business units they are trying to sell to, facilitate the deep dive into the problem and solution via proof-of-concept frameworks and come to an intention to engage in a commercial agreement once they leave the program. W.C. How is SBC Colab working with FS organisations to help FinTechs grow and scale? H.P. The Colab program is designed to create real commercial engagements between established financial institutions and growth stage FinTech companies with proven technology and business models. The program allows the scaleups to quickly explore and unlock new business opportunities and meet the business units of relevant financial institutions participating in the programme and the companies who join the program get access to new corporate partners, mentors and venture capitalists. Themed focus allows us to target only those scaleups our corporate partners are interested in and ready to work with, meaning providing the solution for the business challenge. The theme of our very first program was digital identity and it resulted in putting in motion six commercial agreements between start-ups and corporates after the 2-week residential program. The goal of the program is to deep dive into the problem (from corporates side) and solution (from scaleups side) and speed up the sales process by getting key people in relevant business units involved in decision making process. Once they’ve managed to connect with the right business unit owner, the most common problem start-ups and scaleups experience when selling to corporates is long sales cycle. We aim to eliminate this friction by educating corporates as well as scaleups throughout an intense 2-week residential program bringing both sides together in the room. W.C Post-PSD2, how do you think the bank/ FinTech relationship will evolve? H.P. Open banking is a significant reason for the gear shift in the banking sector; banks have now started to offer certain tools and data packages to third parties. By leveraging the experience and resources of traditional banks, nimble start-ups and scaleups can use the experience and resources of the incumbents. In this period of change, it will be the banks that take advantage of FinTech and plan for the future that will benefit in the long term. The technology decisions the banks make now will come to define the next decade. The biggest challenge for agile FinTechs who have the tech and the ability to bring it to a large market is the time it takes to sell to big corporates from conception to delivery. A sales cycle into a bank and implementation is lengthy, typically taking 12-18 months. There is still a lot of work to be done from education perspective and incumbents need to be ready to move away from any kind of innovation tourism and commit to execution. Innovation should not be a separate piece but inseparable part of the daily business process and solution to real problems. W.C. What impact will Brexit have on the UK FinTech industry? H.P. The UK has it all – capital, talent, the City, a benevolent time zone, and demand. The impact of Brexit is there, and it continues to create uncertainty, but we need to get on with business as usual and continue to grow and retain our FinTech talent and businesses. One thing we are doing is launching our Rainmaking FinTech Academy, helping senior managers in financial services see the opportunities offered by FinTech and understand how to translate them into genuine innovation and culture change. We also need to see the public and private sectors working together alongside government to find ways to make access to FinTech talent as seamless as possible. When looking at the figures, more money has been invested in UK FinTech than in the US and China in the first half of this year. As long as FinTech continues to solve real world problems with genuinely innovative and scalable solutions, with patient capital and with attractive investment and tax incentives, the UK will remain attractive and able to retain its position as the global FinTech capital. We also have a balanced, real-world regulator who continues to do the important bridge building work that helps our FinTechs access new markets and take advantage of global opportunities and talent. Helene is Managing Director for SBC Colab. Originally a commercial banker, Helene is a highly experienced Investment Readiness Consultant, Programme Director and Exited Entrepreneur. She has successfully created and launched the Inaugural Programme of Education and Events for the UK FinTech trade body, Innovate Finance. Since 2017, she has been the Lead Fellow on a world-first FinTech Pathway in a Masters in Tech Entrepreneurship Degree for UCL, Lead Adjunct Fellow on the Imperial College Business School MSc in Finance, and co-creator and lead delivery partner on the Imperial College FinTech Executive Education Programme. Helene was named a Top 10 Influencer in SME Funding in 2016 and is the author of Business Funding for Dummies. Helene Panzarino will be speaking at MoneyLIVE: Digital Banking, which will take place on 25-26 June 2019 at etc. venues St Paul’s, London. Digital Banking 2019 unpacks the rapid advancement in technology and customer expectations in banking. From the wider impact of open banking and APIs, to the unyielding power of AI and data analytics, we’ve got everything covered. Providing practical advice through case studies, development stories and panel discussions, this event is for senior executives to discover how technology is transforming banking as you know it.